GenderStrategy was founded by BUSINESS people to remedy what they recognized as a glaring void in “workplace communication.” Gender differences in how we use words, tone of voice, patterns of speech, body language and conversation ‘rituals’ lead to misunderstandings and miscommunication -- and often create the perception of discrimination. The founders of GenderStrategy have been successful business leaders in fundamentally different industries and bring a diverse and unique set of talents and experiences. JOAN ATHEN was the Special Assistant for Community Colleges in the U.S Department of Education. In this capacity, Joan served as the principal advisor on community college issues, and provided guidance to program directors with the departments who manage functions and activities affecting community colleges. Prior to her appointment, Joan served as Chair of the Maryland Association for Community Colleges, trustee and Chair of the Board for Howard Community College in Columbia, Maryland. As an entrepreneur, Joan created an international operator service telecommunications product and company to service hotels, and then adapted the technology for use with wireless service for cellular carriers. Joan was named to the list of Maryland’s Top 100 Women for 2004, the third and final year, inducting her into the Circle of Excellence, Women’s Hall of Fame, Howard County, Woman of the Year, Maryland Federation Business & Professional Woman’s Association, Woman of the Year for the Girl Scouts of Central Maryland, Past Chair of the Chamber of Commerce, and Economic Development Advisory Council. Joan was honored by the Association of Community College Trustees and the American Association of Community Colleges for her tireless advocacy on behalf of the nation’s community colleges and their 14 million students. She was named an Outstanding Alumnae of Stephens College, Columbia, Missouri. 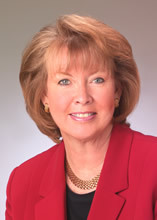 MARIE THÉRÈSE ROYCE is the CEO of Marie Royce LLC. 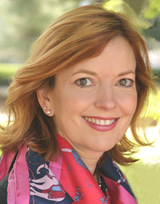 She formerly served as Vice President Americas Region of Nokia (formerly Alcatel-Lucent). Prior to joining Alcatel-Lucent, Ms. Royce was a full-time faculty member at California State Polytechnic University, Pomona in the departments of International Business & Marketing, and The Collins College of Hospitality Management. Ms. Royce held senior management positions at Marriott International and spin-off Avendra LLC, Choice Hotels International, and The Procter & Gamble Company. Marie was recognized as the Distinguished Alumna from Cal State Poly University, Pomona. In 1996, she received her MBA in International Business from Georgetown University, and was recognized top in her class (Beta Gamma Sigma) for her academic achievement. Marie currently serves on the Board of Earth Echo, Congressional Families Against Cancer (Executive Council), and the Cal State Fullerton DC Scholars Program.